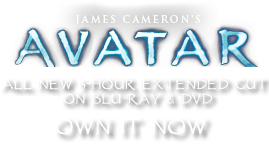 Capsulatum virgatum | Pandorapedia: The Official Guide to Pandora | Own AVATAR on Blu-ray & DVD Now! Research is underway on earth with the popsicle to determine whether it could be used in bioremediation to decontaminate soil following nuclear testing. On Pandora the plants are generally left alone. Taxonomy Capsulatum virgatum. Named for capsule shape and striped appearance. Botanical Description Herbaceous plant with colorful capsule-shaped stem with alternating horizontal stripes of green and pink. Thin strap-like orange leaves protrude in whorls from the stem. Ecology Absorbs xenon from the soil and air and stores it in the enlarged stem. Performs important detoxifying function by neutralizing radiation. Ethnobotany No known use by Na’vi. To be avoided due to low levels of radioactivity and potential to explode.